CartCrunch Blog: Saverr is now CartCrunch! 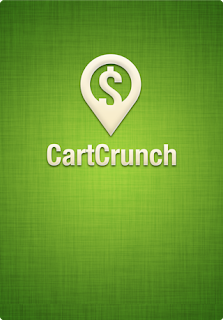 That's right, the app Saverr is now CartCrunch. We are excited about this and hope you are too. There are several reasons for this change, the most important being that the app helps you crunch the price of your shopping cart. Other reasons were confusion between our product, and other Saverrs that were known to the world. There were two other apps, one also called Saverr, and the other called Saver, that were available in the app store. We felt as a company that it would be difficult to continue with this confusion. This doesn't change much besides the name on the app. It also puts us in a better position to move in the direction of the original idea, which is a price comparison app. If you have not downloaded Saverr before, CartCrunch is available for both the iPhone and for Android devices. Click below to download. Looking for Galaxy S7 Wallet cases??? Visit now. Want to know about National cat day 2016, please visit my blog National Black Cat Day and enjoy the day with your pet.